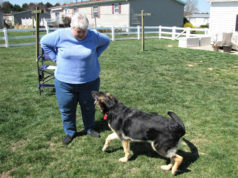 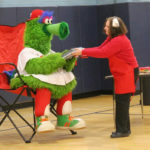 WILMINGTON – A furry green visitor from Philadelphia by way of the Galapagos Islands traveled to Wilmington on Jan. 16. 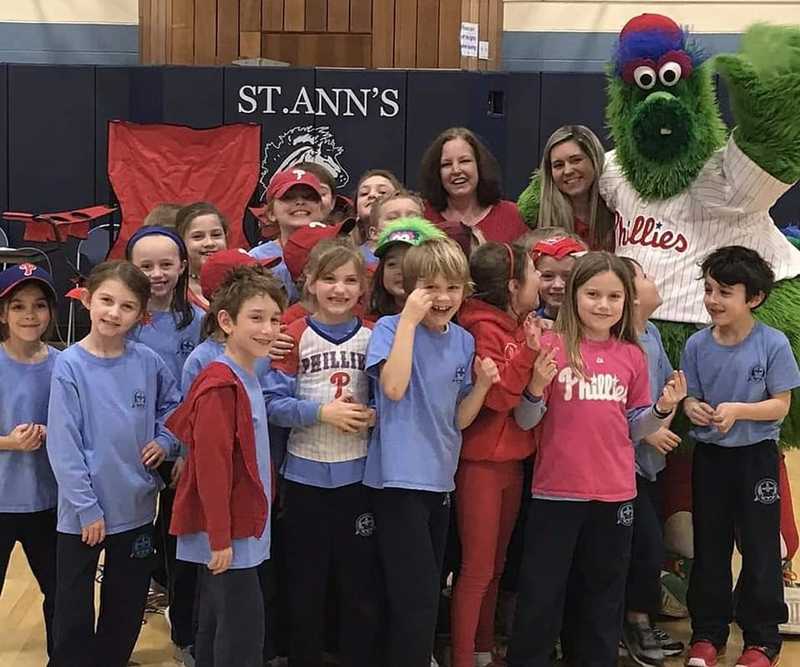 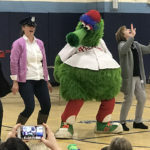 The Phillie Phanatic made his way to St. Ann School to help celebrate the students’ success in the “Phanatic About Reading” program. 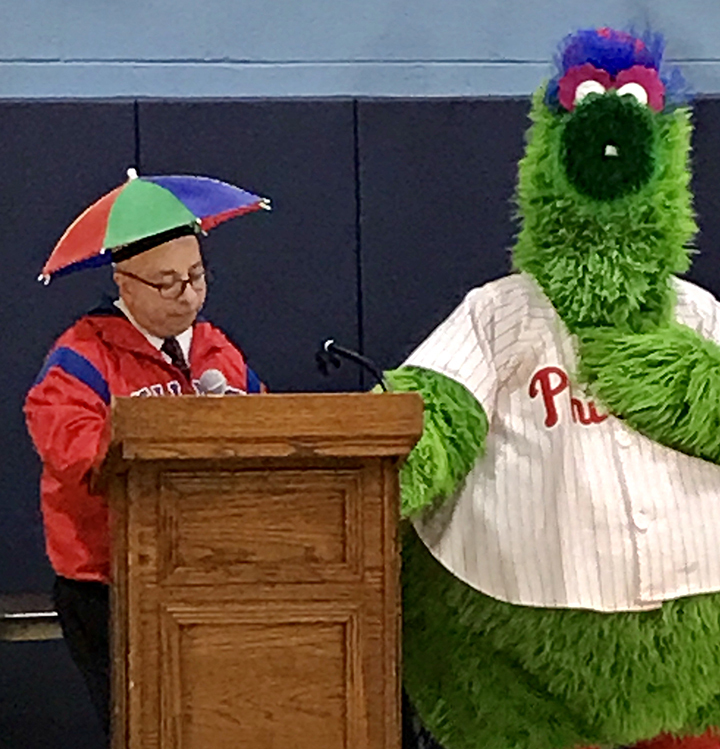 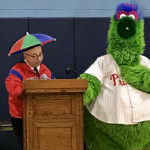 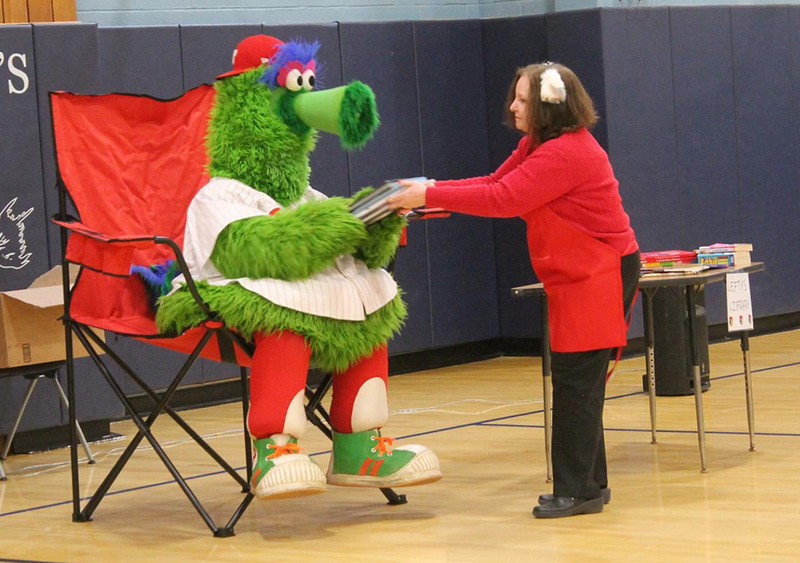 Superintendent of schools Louis De Angelo served as the guest reader and foil for the Phanatic’s hijinks. 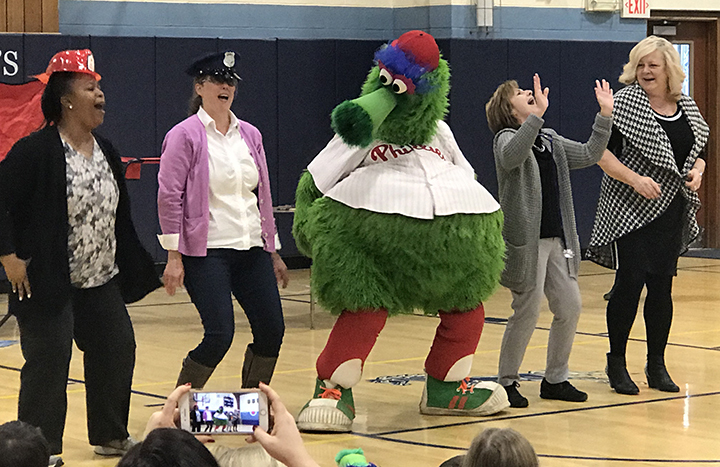 The mascot also pulled teachers on to the gymnasium floor to dance with him, and he mingled with students. 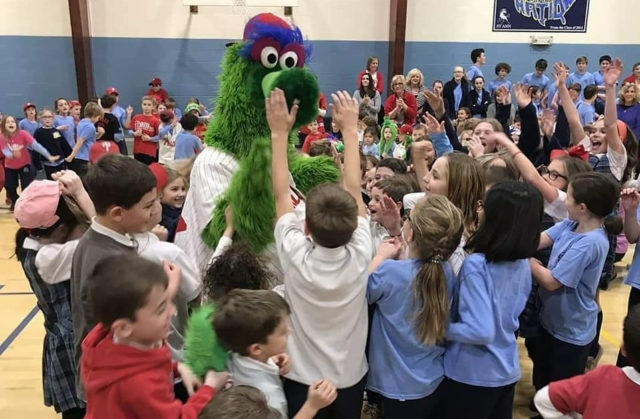 He also posed for a picture with the winning class. 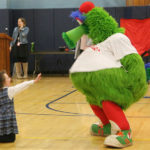 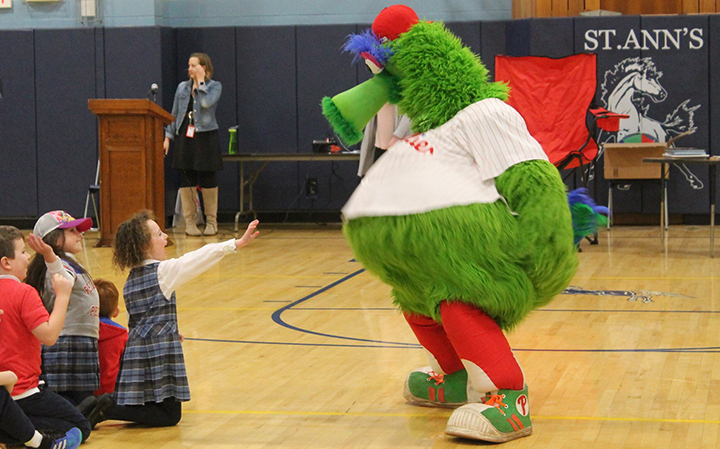 This is not the first time the Phanatic has been to St. Ann’s. 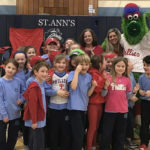 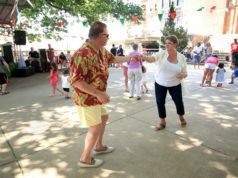 The school also received a visit in 2017.